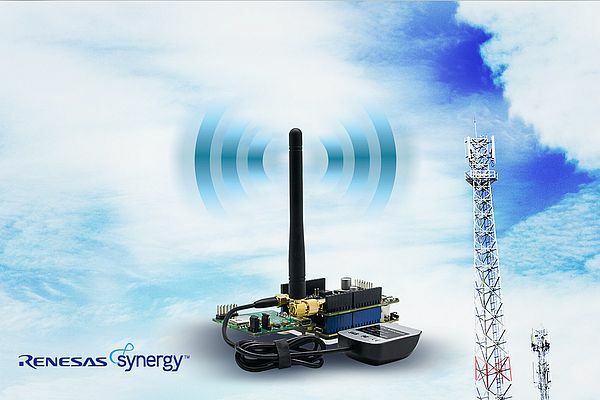 Renesas announced the Renesas Synergy™ AE-CLOUD2 kit, a complete hardware and software reference design that allows embedded developers to quickly evaluate cellular connectivity options and build Low Power Wide Area (LPWA) cellular Internet of Things (IoT) applications. The AE-CLOUD2 kit together with the new Synergy Software Package (SSP) version 1.5.0 simplifies connecting IoT sensor devices to enterprise cloud services using 4G/LTE Cat-M1 and Cat-NB1, also called NB-IoT, with fallback to 2G/EGPRS cellular networks. The kit’s rich functionality accelerates prototyping cellular-enabled IoT devices for asset tracking, retail and agriculture monitoring, smart cities/utilities, mobile healthcare, and industrial automation. Each AE-CLOUD2 hardware kit includes a Synergy S5D9 microcontroller (MCU) baseboard, tri-mode cellular modem with cellular and GPS antennas, Wi-Fi, Ethernet, and various sensors such as lighting, microphone, temperature, humidity, pressure, air quality, geomagnetic, accelerometer, and gyroscope. For cellular access, developers simply insert a SIM card with data plan purchased from a local cellular carrier. The hardware kit’s software allows developers to provision the kit to connect to a 4G/LTE IoT cellular network and their preferred cloud service provider: Amazon Web Services™, Google Cloud Platform™, Microsoft Azure™ or Medium One Cloud. Users can visualize their sensor data on a customizable, password-protected dashboard. The AE-CLOUD2 hardware kit ensures excellent EMC performance, having passed global RF emissions tests. In addition, the AE-CLOUD2 kit complies with global regulatory certifications for FCC, CE, RoHs, WEEE and Japan MIC. The kit’s fully optimized hardware/software saves developers months of design time and resources creating a scalable, energy efficient and secure end-to-end LPWA cellular IoT application that can be used anywhere in the world.